Situated an hour north east of Inverness, between Dornoch and Golspie, just 200 metres off the A9 NC500 route. Set in quiet, secluded gardens and woods, with modern, spacious en-suite rooms with very comfortable beds. Complimentary tea, fresh coffee and homemade cake on arrival and a top quality continental and cooked breakfast awaits you. An idyllic setting in the midst of spectacular mountain landscape, surrounded by the ruggedness of the Highlands, often referred to as the last great wilderness in Europe. 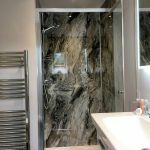 Ideal for discovering the east coast and the central highlands, close to Loch Fleet Nature Reserve and Dunrobin Castle - the home of the Earl of Sutherland and the Clan Sutherland. Clare, Carol and Mark look forward to welcoming you. Free Wi-Fi. Drying room and Motorcycle washing facilities. Ample safe, private parking and Motorbikes can be garaged if needed. Historical Inn dating back to 1808 on the East Coast of Sutherland, which is unique having 3 coasts, North, East & West with stunning scenery and wildlife. Located on the main A9 road, on the NC500 route, five minutes from Dunrobin Castle and just over an hour to John 0' Groats, the port of Scrabster and the Orkney Ferry and boasts an award winning beach. The hotel has 14 en-suite bedrooms available at reasonable rates, a restaurant and bar. Fresh Local Crab, Lobster and Langoustine are featured on the daily specials board. 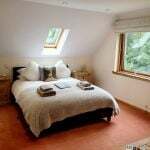 A full Highland breakfast is included in the rates which at present are £90 for a double and £50 for a single. For groups and long stay, prices are negotiable. Free Wi-Fi. Drying room and Motorcycle washing facilities. Private and secure parking. A friendly welcome and a relaxed and comfortable atmosphere is ensured here from owners Angus and Cheryl (and staff) and an ideal base for the NC500, to explore the stunning North Highlands and scenic North West coast with beautiful beaches and rugged landscapes. 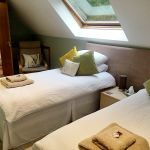 A choice of accommodation including six comfortable B&B en-suite rooms and bunkhouse to sleep ten in four separate room. The traditional Highland bar is the heart of the Invershin and the fire is always lit… Sample a real cask ale or a 'wee drammy' from the selection of fine Scottish malt whiskeys, whilst enjoying some banter with the locals. In the evening, a small selection of hearty, home-cooked meals, served in the bar or you can eat in the conservatory overlooking the Kyle of Sutherland. All the meat and fish is sourced locally and when possible, vegetables from their garden. Groups are welcome and catered for where they can organise an outside BBQ - from lobsters to burgers or whatever you fancy. Also a spacious reception lounge, regular music sessions and a pool table with the family tartan. Situated close the famous Falls of Shin and across the water from Carbisdale Castle, close to the seaside villages of Brora and Golspie, Hermit's Castle at Achmelvich, The Castle of Mey and an hour (ish) to Inverness and Ullapool, so a fantastic base to stay to explore all that Sutherland has to offer. Large parking area. 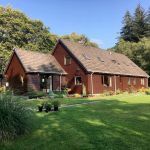 Experience stunning views of the Assynt Mountain range and Atlantic Ocean at this working croft in North West Sutherland, where owners Ron and Elaine welcome you. Offering an affordable, down to earth home from home place to stay, with en-suite B&B in the Croft (double and a twin) and self catering in two self contained mobile homes. The croft land goes down to Badcall Bay, which is studded with small islands and you can see all four mountains: Suilven, Stac Pollaidh, Canisp and Mount Quinag. Enjoy amazing sunsets, beautiful surreal cloud formations, along with visiting wildlife... Sea eagles, otters, black throated divers, buzzards and quite often in the bay, dolphins. Owner Ron (a Biker himself - his 1975 Z1 pictured above, which he has owned for over 40 years) is happy to give tips and advice and will also run you to the pub for your evening meal, along with picking you up... Now that's service! Ideally situated for touring the west coast of Scotland, the NC500, Ullapool, the Scottish Highlands and amazing coastal roads including the A894 for a ferry and/or boats trips to Handa Island. An hour (ish) to Cape Wrath at Durness, the most north-westerly point in mainland Britain and Smoo Cave where the Celtic tribes lived 5,000 years ago. This part of Scotland is said to be the last wilderness in Western Europe, famous for its remoteness and unsurpassed rugged beauty and solitude and is ideal to stay and escape from the modern world. At the end of the day, Rons place is a 3* B&B, so do not expect pink ribbons around your pillows, but expect, what is said to be the greatest view in the UK. Very private parking. In the village of Rogart lovely Glen Lodges - Perched in an elevated spot and nestled into a wooded hillside, these well-equipped lodges enjoy far reaching views across the glen, perfect for enjoying breakfast on your balcony. Please call the Invershin Hotel on 01549 421 202 to check availability or for more information. 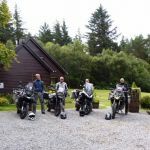 Biker Friendly Accommodation Scotland. 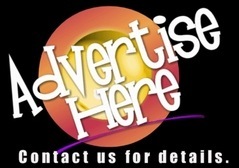 Hotels, B&B, guest houses, cottages, hostels, camping. Ideal for touring! Sutherland, The Highlands, Bikers are welcome, NC500, the NC500 route. On the most northerly coast of Scotland, Sutherland is one of Europe's last great wildernesses, blessed with a rugged west coast, beautiful east coast beaches, mountains and moorlands in between. Ideal for a stay/stop on your journey north to Orkney, Thurso and John O'Groats and south to Inverness. Places to visit include the magnificent Dunrobin Castle, Glenmorangie Distillery, Falls of Shin; where the salmon leap, Brora; which is a good place to spot seals and the seaside resort of Dornoch. the Timespan Heritage Centre, Dunrobin Castle in Golspie, the fabulous Whaligoe Steps or try your hand at gold panning at the famous Gold Rush spot on the beautiful Strath of Kildonan. A ride over Glen Loth will give you chance to see Red Deer, Roe Deer, Golden Eagle, Hen Harrier and stunning views of the Strath.